Popping off the top cover exposes the schrader intake valve – as well as a Presta adaptor. This is [obviously] where you put the air in. On the front of the cylinder you have a gauge which indicates at which pressure the air is stored at. 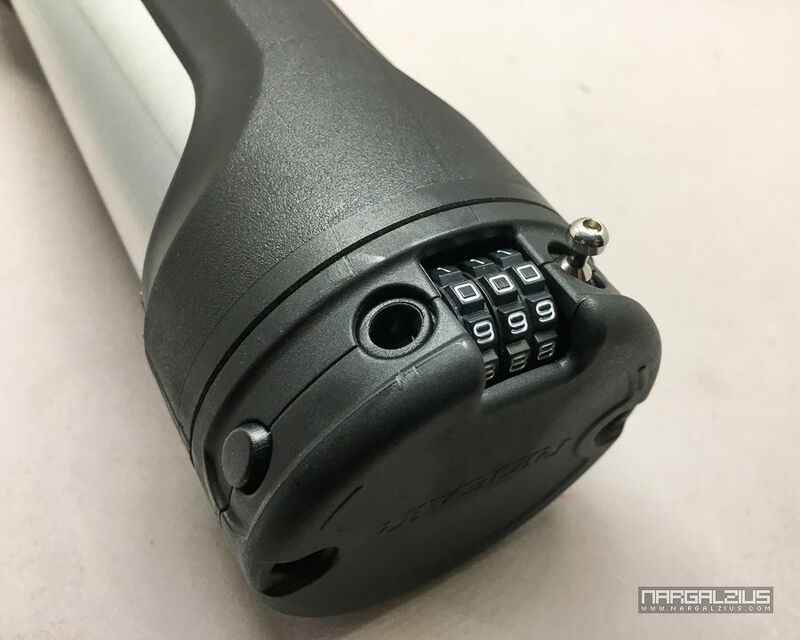 On the back you’ll see where the inflation tube is secured as well as the inflation button. Compressed air has always been great for filling tyres due to the speed they could get you up and running. 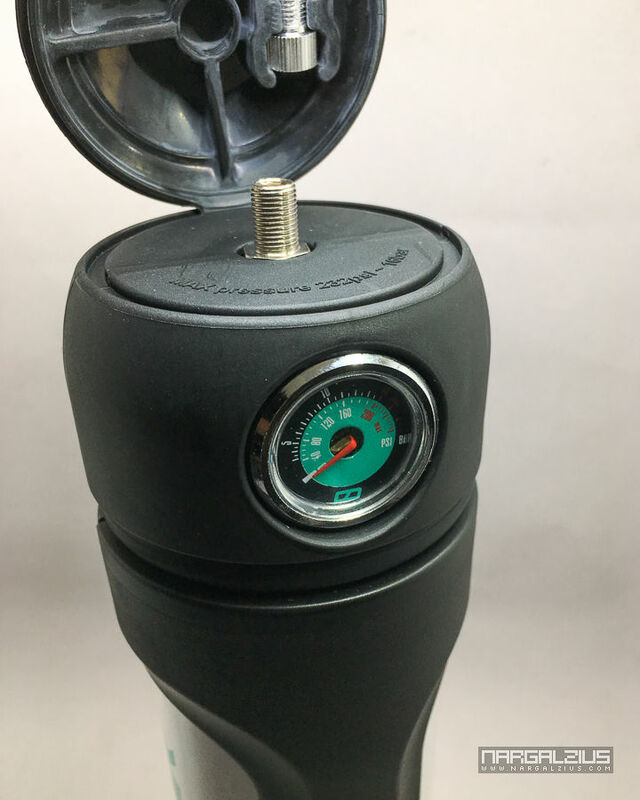 If you’re on a tubeless setup, where you need a fast burst of air to seat the bead into your wheels/rims, then the argument for compressed air becomes even more compelling. With that said, the fact you can refill the RideAir (whether by pumping air into it with a regular pump or doing it with the gas station pump) means a lot of money is saved from getting the alternative CO2 cartridges. So that alone already makes it a practical investment even if you just leave it at home. First, its size; It’s pretty large. As a regular sized asian that uses a small framed bike, it’s either that or a water bottle – and I’m more likely to choose the bottle. 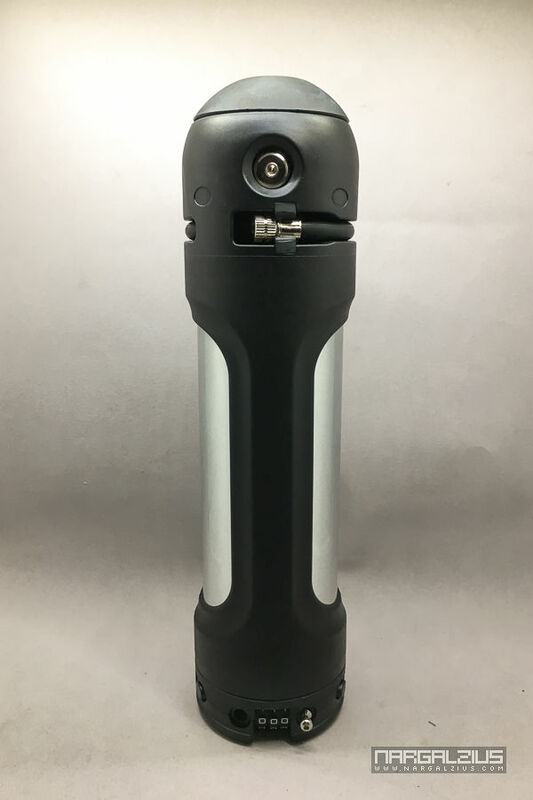 Now if you’re a tall person whose bike has enough clearance for storing another bottle on the seat tube, then sure it might be worth bringing for peace of mind. Also, at 500g, it’s not necessarily appealing to weight weenies given how often you’ll actually get to use it. Then again, if you’re the type of rider who likes bombing through unknown territory and easily deflating your tyres, (or commute on crappy roads on a regular basis) perhaps it may be worth lugging around. Lastly, this only takes in 600ml of air. 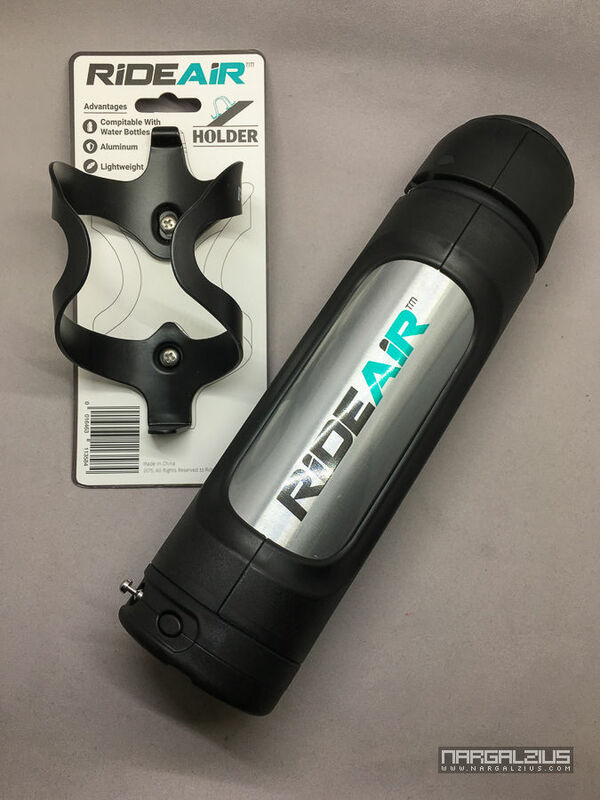 Even if you’re really efficient/precise in releasing the air needed during a ride, this can only fill one MTB tyre comfortably even at its maximum pressure/capacity. 2 It can barely fill two road tyres – so I’d still consider that a single tyre inflation So at best, it’s more useful for topping-up a slow leak. Other than that, it’s only advantage is really just for changing/seating tubeless tyres. Personally, I don’t see using this during a ride, but as I just said, I would definitely use it for changing tyres. Or even for just a quick top-up before a ride. 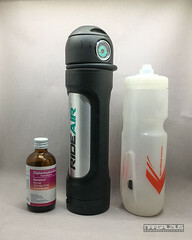 Or maybe even have it handy in the car for a bike related emergency. Hell, I can even see myself using it for other inflatable objects like balls, etc – surely would cut down time on the pump. I only wish that this could also inflate motorcycle tries too, alas it can’t store enough air to be able to do that. Having said all that, I have no regrets in backing this product. At the end of the day, anything practical that allows unlimited access to something that is usually limited (i.e. CO2 cartridges) is always a good thing.